The Urban Agriculture Incentive Zone Act is a state program adopted by the state of California (AB 551) in 2013. This program aims to encourage urban agricultural initiatives by offering significant tax reduction to parcel owners that are willing to have their vacant parcel used for agriculture. 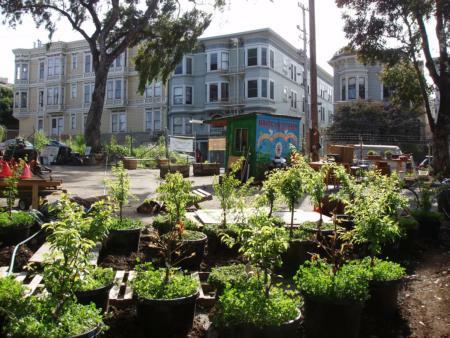 Urban Agriculture has many social, economical and environmental benefits. It contributes to increase access to fresh food that is locally grown at a low cost, it increases safety in neighborhoods by putting vacant parcels in use, it creates jobs and it contributes to a more beautiful and green city by creating vegetalized spaces. The Urban Agriculture Incentive Zones Ordinance has been passed in Santa Clara County in September 2015 and applications are open for parcels in San Jose and Unincorporated areas of Santa Clara County. Where can I find more information about the UAIZ? The division of Agriculture of Santa Clara county handles the applications for parcels situated in Santa Clara county unincorporated areas. Applications are due before November, 1st to be eligible for tax reassessment beginning the succeeding calendar year. More information about the application process is to be found on the UAIZ webpage of the Santa Clara county website. For parcels situated in Santa Clara county incorporated areas, applicant must refer directly to the city in which the parcel is located. So far, only San Jose has approved the UAIZ. More information about the tax incentive can be found on the website of the Office of the Assessor of Santa Clara county. Read the story of Valley Verde, who opened a community greenhouse in Downtown San Jose using the UAIZ.